When a mountain chain is recognized by the UNESCO as a World Heritage Site, you know it must have something special going for it. 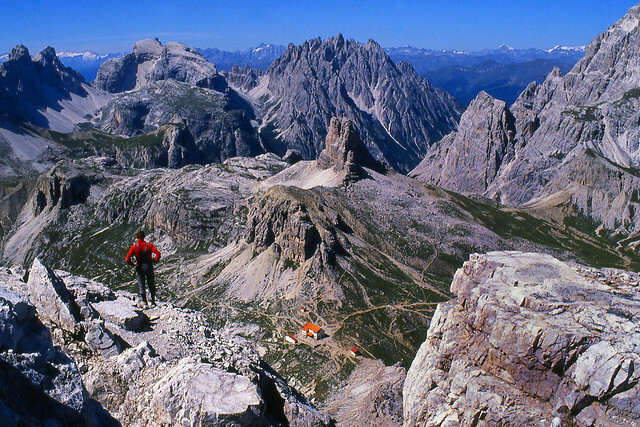 And the Dolomites, a group of almost 20 peaks which top 3,000 meters, covering the Italian region of Trentino-Alto Adige/SudTirol in the Alps straddling the Italian-Austrian border, are indeed spectacular. Though Italy is most known for its historic cities and photogenic coast, it is also a country of mountains. From the rumbling volcanoes in its southern-most reaches (and islands), through the Apennines which run almost the entire length of the Italian peninsula like the country’s rugged backbone, up to the Alps separating Italy from its northern neighbors, there are peaks in almost every Italian region. Italians love their mountains, routinely taking a settimana bianca in winter to ski the slopes and a settimana verde in summer to hike the trails. On secular holidays like Pasquetta and Ferragosto, the more accessible mountain pastures fill with picnicking families, and tiny mountain villages across Italy are used as a dramatic backdrop for traditional living nativity scenes at Christmas. Though the Dolomites are a wonderland in winter, they are equally (if not more) breathtaking in summer, when their dramatic pinnacles and spires tower above vast green expanses of Alpine forests and flowering meadows. Without its blanket of snow, the Dolomites reveal themselves to be an explosion of color and a fascinating mix of landscapes, from the most rugged of rock cliffs and ravines, to softly undulating high plateau meadows, to icy glaciers gripping distant peaks, to thick evergreen woods which cover the mountainsides from over 1,000 meters above until reaching the valley floors. The biggest draw of these pristine Alpine slopes is, of course, the scenery. And there is no better way to enjoy these unforgettable mountain views than by foot. You can use your own and hike one of the many trails that crisscross this area; the tougher routes begin at lower elevations and have you climb on your own, or there are a number of options using a lift, repurposed in summer to transport hikers rather than skiers, to get you to a higher elevation where you can pick up a less strenuous trail with eagle-eye views. Many of the favorite trails in the Dolomites are quite advanced and take about 5-6 hours to complete; for less rigorous hiking, we like the Alpe di Siusi, which uses a lift to deliver you to the trailhead above for a 2-hour walk along an easy route. You can also explore the trails on four feet...or hooves, to be more precise. 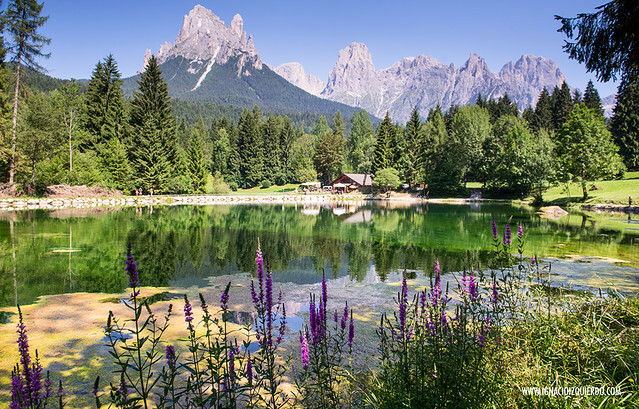 The Dolomites have some excellent routes for exploring by horseback; we love the lakeshore ride between Revine and the old town of Lago, passing by Livelet (an ancient village built on stilts), and a number of pretty hamlets along the way. If you love the views but can do without the walking, there is still gawk-worthy scenery which can be enjoyed without ever having to lace up your boots. Just driving the winding mountain roads skirting Alpine streams and passing neat, half-timbered hamlets can put the joy in joyriding. Take the gorgeous route through the Mis Valley, passing the Mis Lake, the Soffia waterfalls, and the “Cadini del Brentòn”, a series of deep cavities created by the waters of the Brentòn stream, flowing down in stairstep waterfalls. 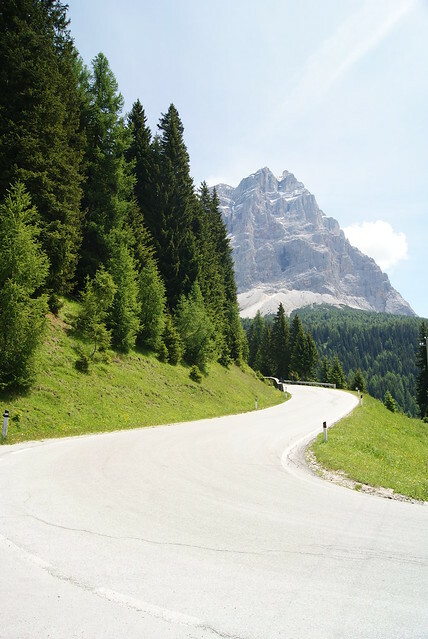 Continue along the Mis valley (the locals call it “California”) until you reach Rivamonte and Tiser in the beautiful Val Gardena. Otherwise, there are a number of jaw-dropping train routes that pass through the Dolomites, rewarding passengers with kilometers of unbelievably gorgeous scenery. The historic Renon Line, a short 5.5 km stretch connecting Collalbo (or Klobenstein) and Soprabolzano, (or Oberbozen) on the Ritten plateau, is now operated solely for tourist traffic; the Verona-Trento-Bolzano-Brennero line, however, is the two-hour long regular express line between Verona and the city of Brennero in the Brenner Pass bordering Italy and Austria, a passenger train that just happens to pass along one of the most scenic routes in Italy. All that mountain air certainly can work up an appetite, but luckily the Dolomites have visitors covered. The food here is often as spectacular as the scenery, and will recharge the body as the latter recharges the mind. For haute cuisine, there are a number of excellent gourmet restaurants (a surprising proportion with Michelin nods) which serve contemporary takes on regional dishes strongly rooted in the Austrian culture which marks this area of Italy (see below): this is the only place in Italy where you’ll find pickles and horseradish. Ristorante La Corte (part of the Hotel Villa Abbazia in Follina) and Restaurant St. Huburtus (part of the Rosa Alpina Hotel in San Cassiano in Badia) are two of the most elegant spots in the Dolomites. 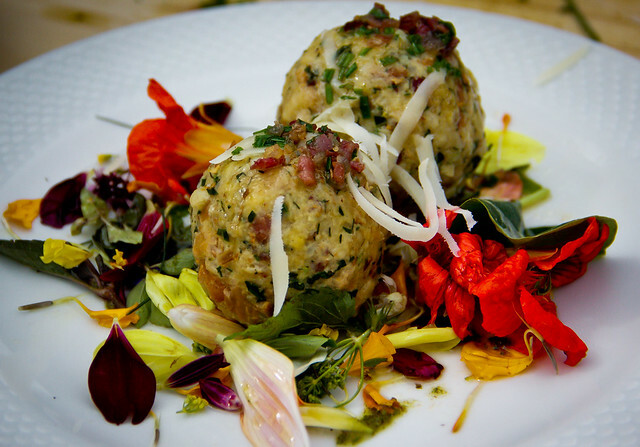 For a taste of the pure, unadulterated traditional cuisine from where these haute chefs draw their inspiration, stop for a meal at a rifugio, one of the mountain lodges serving no-frills, authentic Alpine dishes (often cafeteria-style) on the higher mountain slopes. These chalets usually have both indoor and outdoor seating for their buffet restaurant spread and café. Dishes to seek out are, of course, polenta (topped with melted Alpine cheese, a hearty game goulash, or wild mushroom sauce), but also canederli (dumplings flavored with speck—a smoked pork charcuterie--served in broth), game (including a number of venisons from local deer, roe buck, chamois, and ibex), pizzocheri (buckwheat noodles tossed with greens and potatoes and topped with cheese), and apple strudel. To pair with all those rib-sticking dishes? 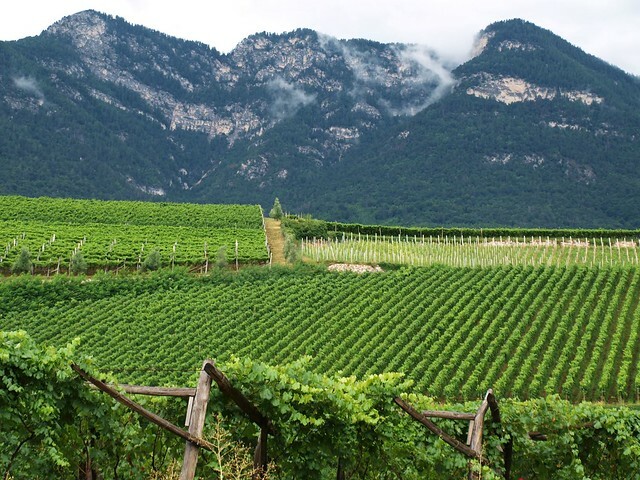 There are, of course, excellent local beers (Forst is the most ubiquitous) but under the neck-craning heights of these peaks there are foothills and valleys blanketed in terraced vineyards growing the native white Nosiola and red Marzemino and Teroldego Rotoliano varietals. Lovers of full-bodied reds should seek out local Merlots, Cabernet Sauvignons, and Cabernet Francs; excellent local whites include Pinot Bianco, Pinot Grigio, and Chardonnay. And to finish off your meal of rich food and unforgettable wine? Grappa, a distilled spirit especially loved by the northern Italians, is the perfect digestivo. In a nation divided into a patchwork of local micro-cultures and languages, the area of Alto Adige/SudTirol is a unique case. Part of Austria until after the World War I (indeed the area is still marked by memorials and monuments to the grueling battles fought among these peaks, which are fascinating to visit for history buffs), residents here often speak and identify more with their Germanic history than with their Italian present. Two add to this cultural mix, this is also the area where the ancient Ladin people—with their own separate culture and language—have been living for centuries. In short, it’s not rare to find road signs translated into three different languages, and run into locals who are not native Italian speakers. All this makes the Dolomites even more fascinating, given that visitors here can get a true taste of just how regional Italy can be: a country so divided by geography, history, language, and food that every new region explored feels like discovering a new land.